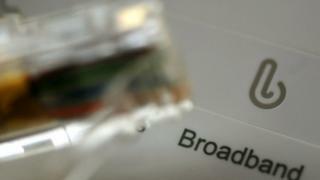 Britons who get their broadband from the UK's biggest suppliers are the "most likely" to be getting a bad deal, reports Which? The consumer group's latest broadband satisfaction survey places the big providers at the bottom of rankings for service. The UK's four big providers, BT, Sky, TalkTalk and Virgin, supply 90% of the UK's net-using homes with broadband. The Which? results put TalkTalk at the bottom of the table for customer satisfaction and say it "failed to score well in any category". In a statement, TalkTalk said the results were "disappointing". "We are already seeing more customers than ever staying with us as we continue rolling-out major service improvements," it said. And it pointed out that Which? had also picked its home wi-fi hub as a "best buy". "It's outrageous that the biggest providers are still letting their customers down with shoddy broadband, especially when we know that longstanding customers are the most likely to be overpaying," said Natalie Hitchins, head of home products and services at Which? "You could get better service and save hundreds of pounds a year," she said.